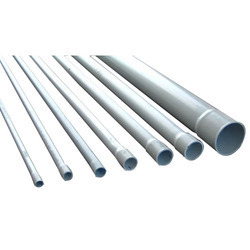 We are one of the most reliable companies in this domain and are into offering PVC Pipe. Price is according to quantity of order. Nominal Size (inch): 2" to 10"
Shree Sadafal Cold Storage (p) Ltd.
Hardworking professionals have helped us in presenting the best quality of PVC Perforated Pipe. Our customers can avail these pipes in various technical specifications.